The repositioning of JA Resorts & Hotels flagship resort will see a commitment to delivering exceptional services and experiences that will engage all generations of holidaymakers. The Resort, Jebel Ali Beach will comprise of three properties: JA Palm Tree Court, JA Beach Hotel and upvoming JA Lake View Hotel, with 348 keys due to open in September 2019. Set within 128 acres, The Resort, Jebel Ali Beach currently offers a variety of room types, from dedicated family rooms to luxurious suites, an 800-m private beach, four landscaped swimming pools, a choice of 16 restaurants and bars and an abundance of leisure activities designed to help create wonderful family memories. The property is situated just 10 minutes’ drive from the Dubai Parks & Resorts (Legoland, and Legoland Water Park Bollywood Parks and Motiongate), and is a destination that offers a vast array of leisure adventures all in one destination. Guests can follow in Tiger Woods footsteps and enjoy a round on the world-class nine-hole golf course, they can go horse-riding, get active at the fully equipped watersports centre, experience fishing from the Marina or try their hand at pistol or clay shooting. 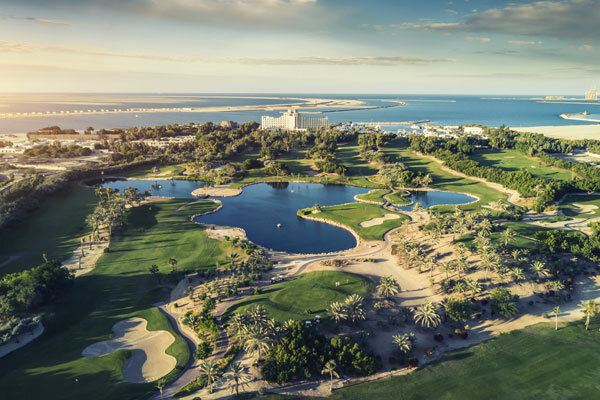 Just steps away from their rooms, guests can jump on a seaplane and experience the delights of Dubai from the sky, swing a racquet at the JA Tennis Academy, play Beach Volleyball or relax with a spa or traditional Hammam treatment. All this and more, making The Resort, Jebel Ali Beach the ideal Dubai beachfront family holiday destination. Anthony Ross, chief executive officer, JA Resorts & Hotels, said: “This is an exciting progression in our plans to further develop our unique portfolio of properties and expand on their offerings, which started with the revamp of JA Hatta Fort Hotel last year. The Resort, Jebel Ali Beach has been a destination that has provided family-focused holidays since 1981 and our 40 per cent repeat guests that we welcome back is testament to this. The new hotel and repositioning of the resort are designed to meet the needs of today’s leisure travellers who we know are looking for experiences to remember. It further cements JA Resorts & Hotels commitment to be a leader in providing unique getaway experiences to thrill all generations, while it pays homage to the resort’s rich history, stunning location and the unique culture of Dubai."